Celebrating Gary’s birthday at Point Reyes National Seashore: It was refreshing to find so much natural beauty and wilderness so close to San Francisco. 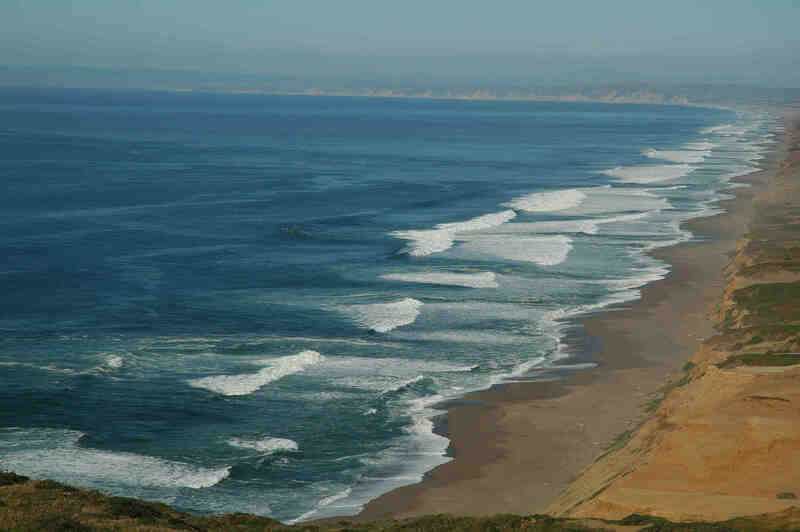 The nine-mile beach north of the Point Reyes light house begged to be strolled on. Instead we made the 4.7 mile hike out to Tomales Point. We were fortunate to see several herd of Tule Elk up close. Point Reyes beach viewed from the light house is nine miles long! 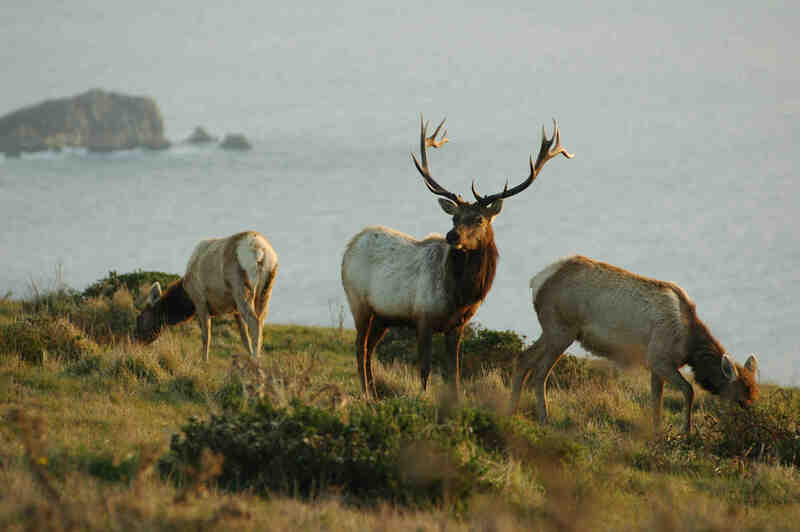 This Tule Elk shows off his rack and his harem.